Attorney Patrick D. Quinn founded our Cleveland office, Quinn Legal Associates, Inc. in 2001 with the goal of defending the rights of those accused of OVI/DUI in the Greater Cleveland and surrounding area. 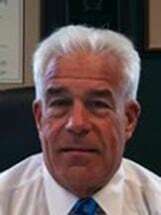 Mr. Quinn began his legal career in 1976 after earning his law degree from Cleveland Marshall College of Law. He is a graduate of the National College for DUI Defense. As a result of his nearly 40 years of experience and extensive knowledge of criminal law, the National Board of Legal Specialty Certification recognizes him as a board certified civil trial attorney. Attorney Quinn is scientifically trained in blood, breath and urine. He has completed courses in analytical chemistry for alcohol and drug identification and detection. He can operate a gas chromatograph/mass spec. This is knowledge and training no other attorney in the area has and gives him the ability to challenge forensic laboratory testing of blood, breath and urine, DUI, OVI and drug cases. Mr. Quinn is a member of the NCDD National College of DUI Defense and consistently attends leading edge seminars to stay steps ahead of prosecutors. This ensures the best representation for our clients. If you are charged with an OVI/DUI and you live in the Greater Cleveland and surrounding area, Attorney Patrick D. Quinn can help you. At our law firm, we believe that everyone has the right to the best legal representation. Our firm offers free initial consultations to all prospective clients.